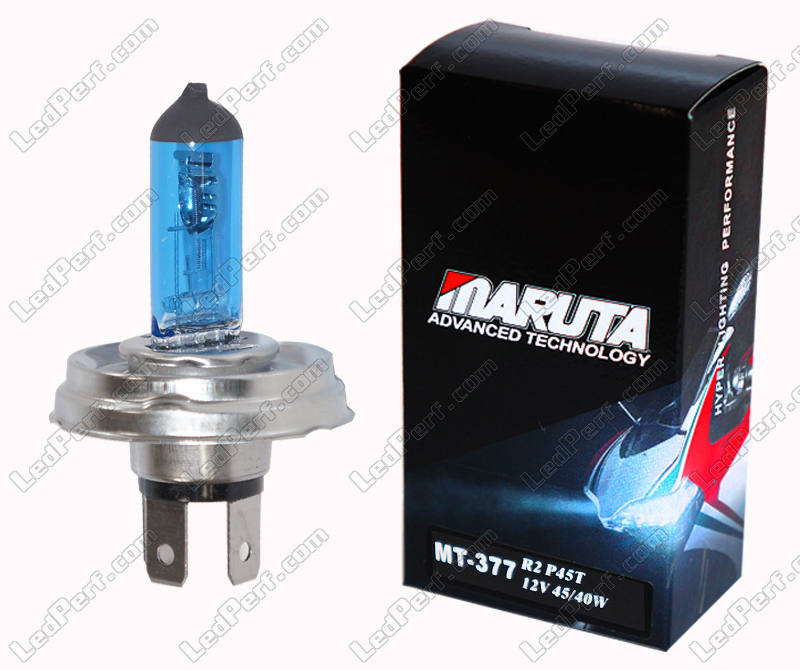 Bulb R2 45/40W MTEC Maruta Super White for halogen headlight of Motorbike , Scooter and ATV - Lighting Pure White. This R2 45/40W Maruta Super White bulb for Motorcycle, Scooter and ATV allows you to obtain pure white light, unlike standard bulbs that provide white / yellow lighting. You will improve the look of your Motorbike, Scooter or ATV as well as your visibility at night. MTEC Maruta offers these R2 bulbs which are among the most efficient on the market, with their pure white color. These R2 bulbs for motorcycle, scooter and ATV are not to be confused with the bulbs of lower quality.